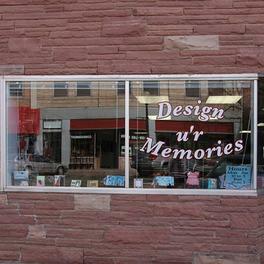 Design u'r Memories is family-owned and operated here in Historic Downtown Canon City, CO. Since our store opened its doors in 2010, we’ve treated every customer like they were a part of our family. Other stores may offer similar services, but our services are the best, and come with a personal touch. In 2015, Design u'r Memories added a digital photo service. We can scan and print your scrapbooking pages. We can save them to digital media, so that you can store them in your safe deposit box for safekeeping. Have old slides that you would like to have on digital media? Then we can do the work for you. Also we can scan your old negatives, so that you do not lose your old photos.